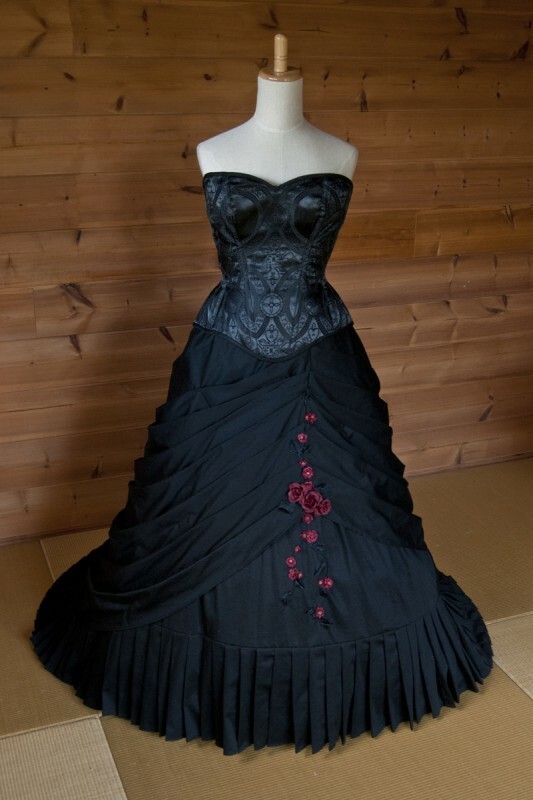 Serafina wanted a dress reflecting her personality and tastes, mainly black with some touches of red and some japanesy details. 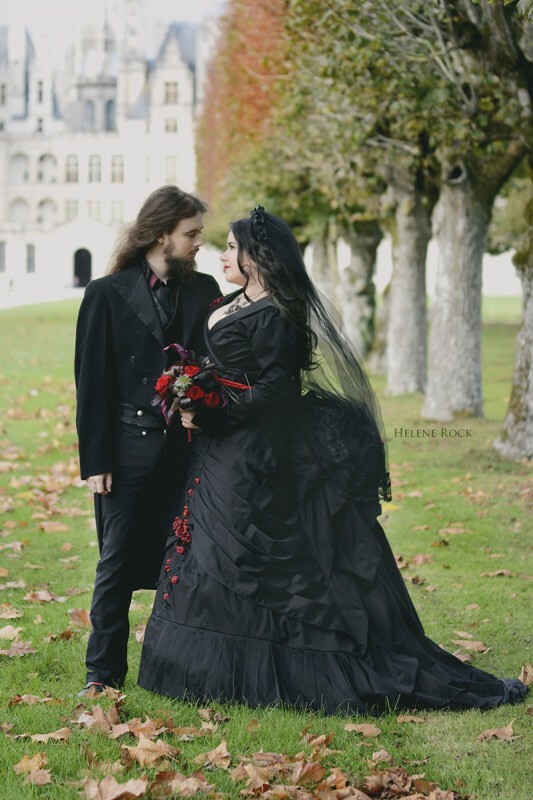 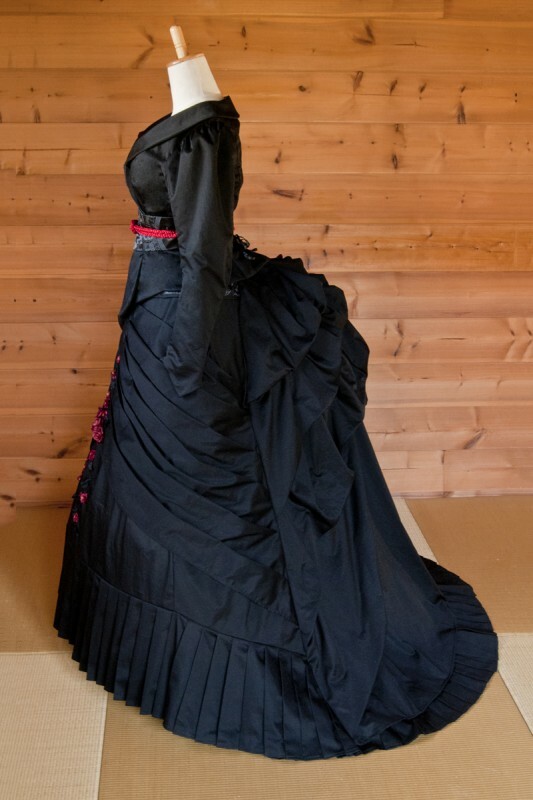 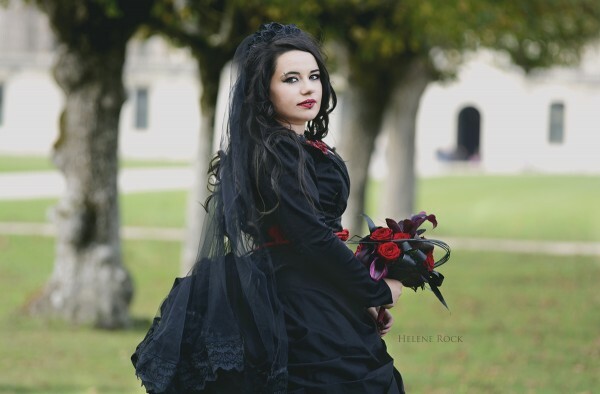 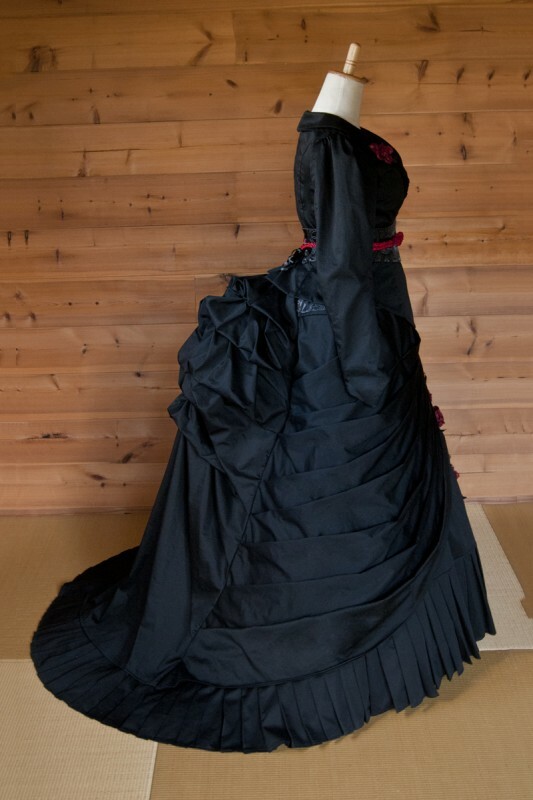 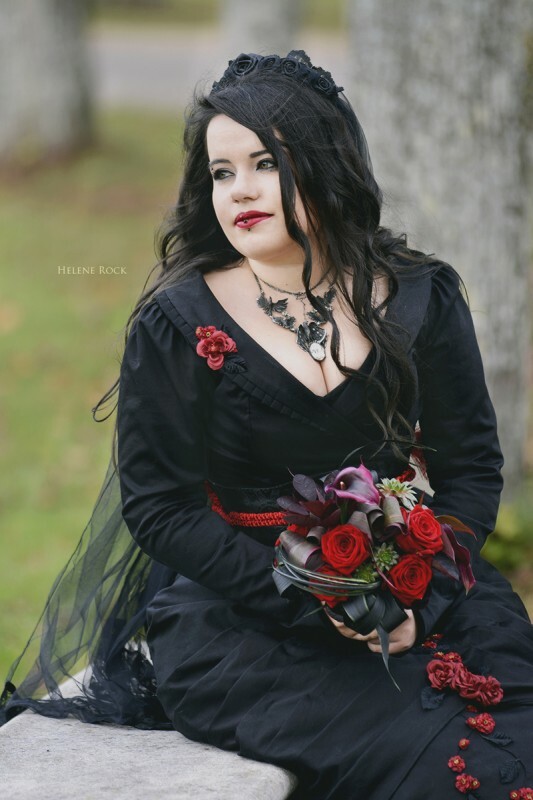 I then made this cotton satin dress composed of a bustle skirt with a train and an asymmetric jacket worn on a black brocade corset and decorated with little red flowers like a climbing rose. 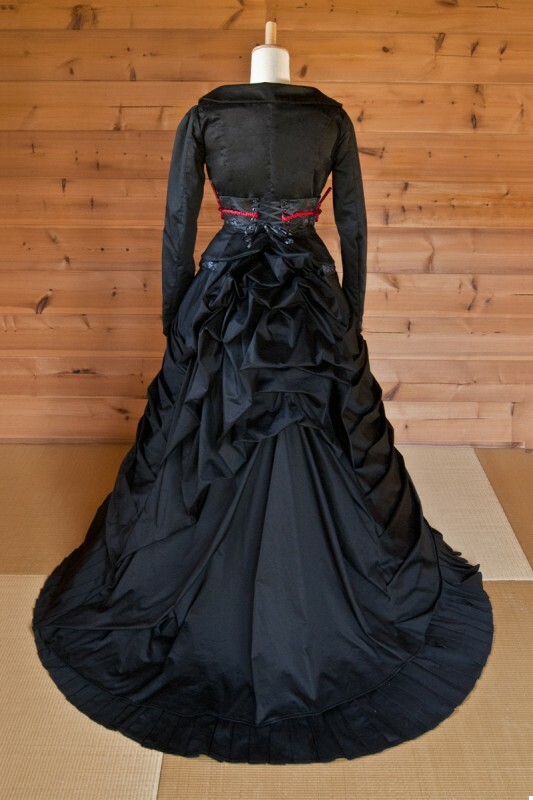 The jacket is done up with an obi styled belt, hold by a red “obijime” cord.